This entry was posted in Maria B on November 30, 2014 by admin. The Sunday magazine of the leading English language broadsheet featured MARIA.B.’s new Winter Cottons, Eveningwear and MKids lines in its Instagrab section. This entry was posted in Maria B on November 24, 2014 by admin. 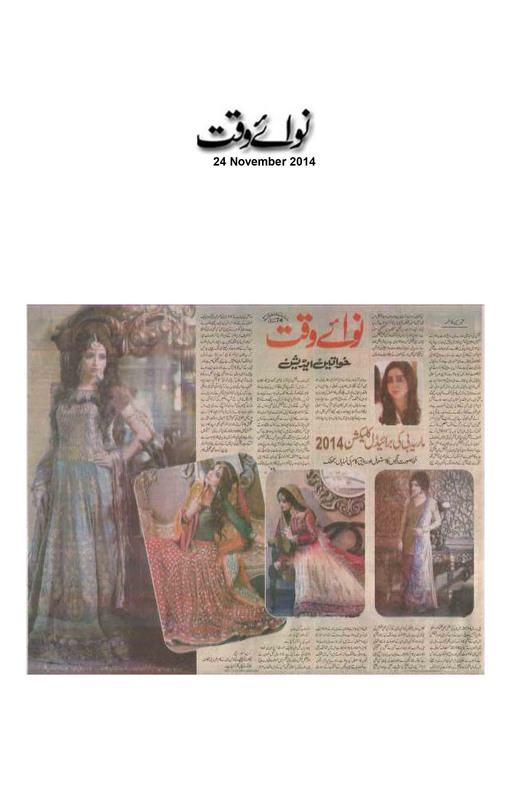 The leading Urdu language weekly publication featured the MARIA.B. 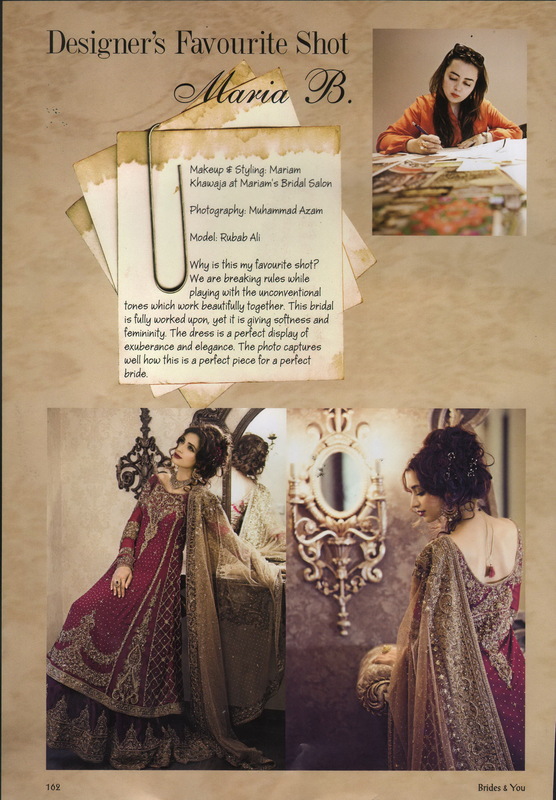 Bridals 2014 collection in a 2 page pictorial spread. This entry was posted in Maria B on November 23, 2014 by admin. 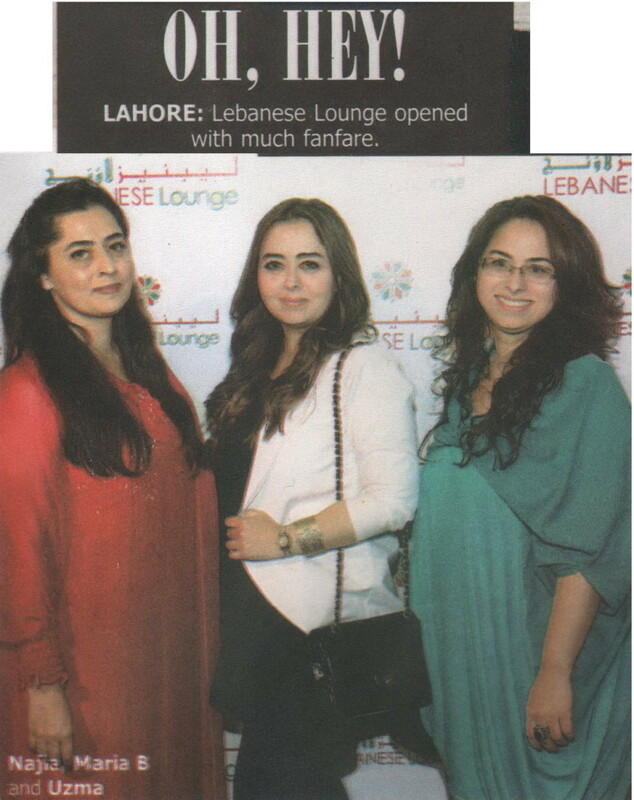 The Sunday magazine of the leading English language broadsheet featured designer Maria B. in the launch event images of Lebanese Lounge. This entry was posted in Maria B on November 21, 2014 by admin. 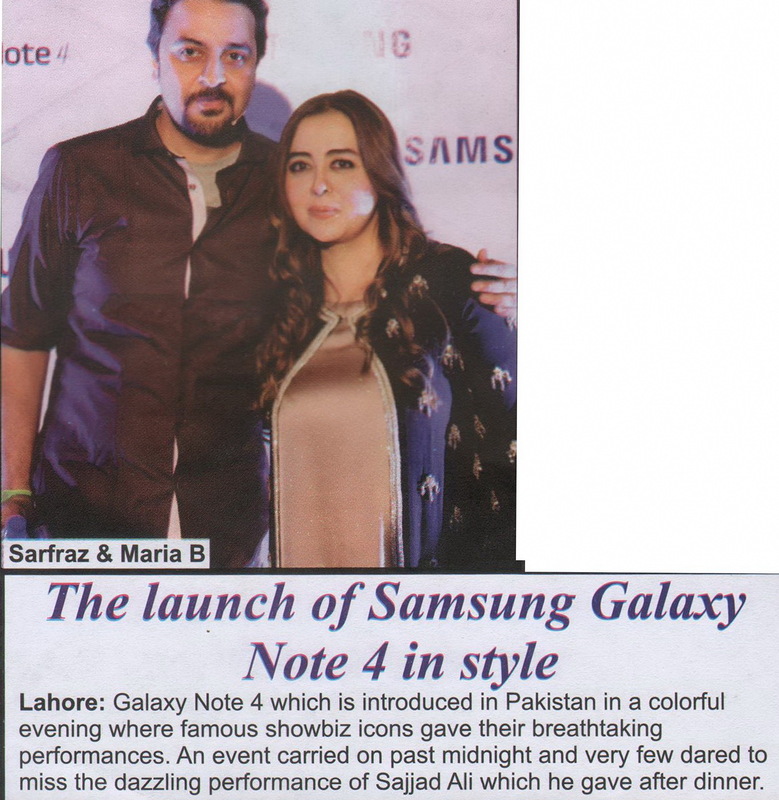 The leading English language weekly magazine featured an image of designer Maria B. in the event images of a product launch event. 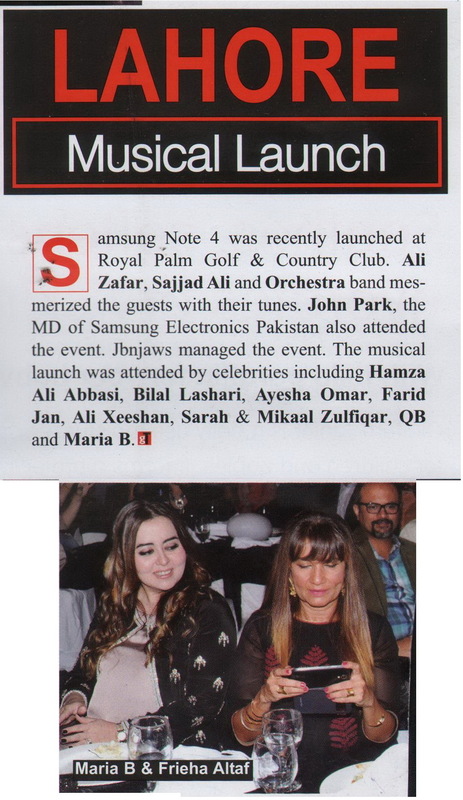 The Sunday magazine of the leading English language broadsheet featured designer Maria B. in the event images of a restaurant launch. This entry was posted in Maria B on November 15, 2014 by admin. 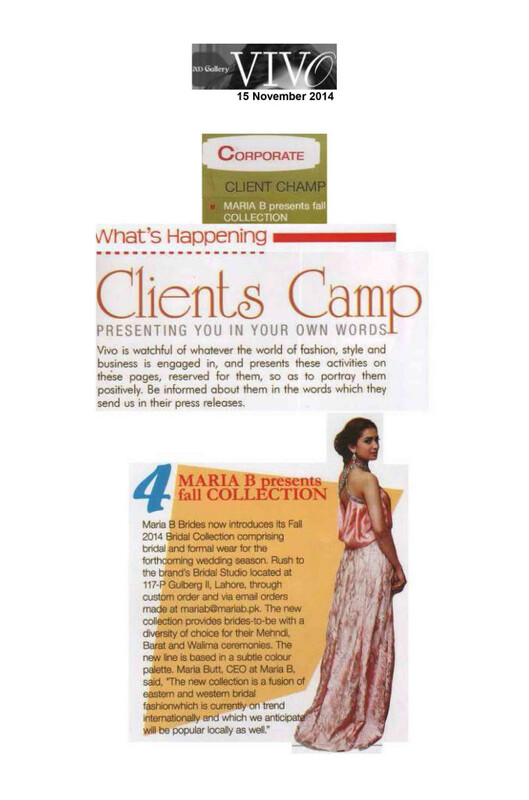 The English language fashion, entertainment and lifestyle magazine featured MARIA.B.’s Formals 2014 collection in its Client Camp section. This entry was posted in Maria B on November 14, 2014 by admin. 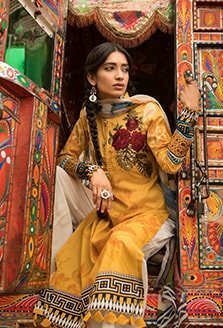 The monthly English language fashion, entertainment and lifestyle magazine featured an image of media personality Fiza Ali wearing MARIA.B. 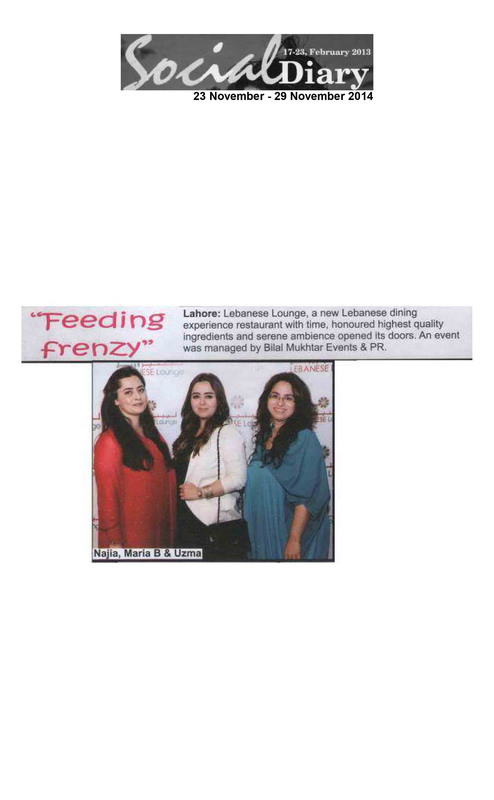 in its Black Carpet review of PLBW 2014. 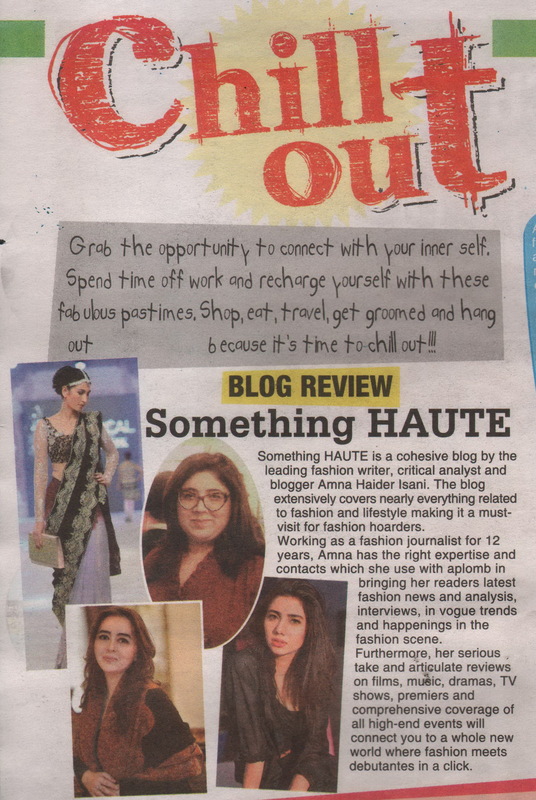 The monthly English language fashion, entertainment and lifestyle magazine featured the MARIA.B. in its Designer’s Favourite shot feature. 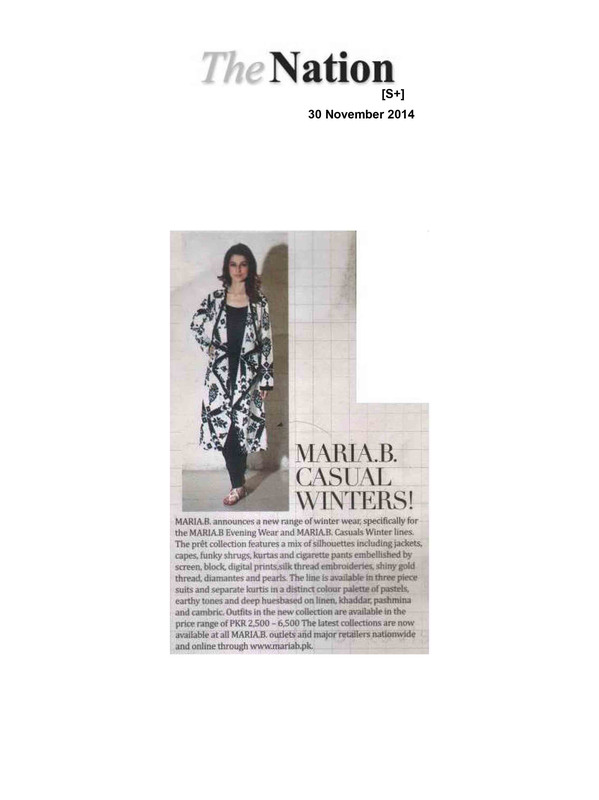 The leading English language weekly magazine featured an image of designer Maria B. in its blog review feature.